Novotel Ambassador Doksan presents an end-of-year jazz concert on Dec. 28, 2005 at the hotel's Shilla Hall. The concert has been designed to invite jazz lovers to a special night of powerful yet smooth jazz performed by the queen of jazz, Yoon Hee-Jung. 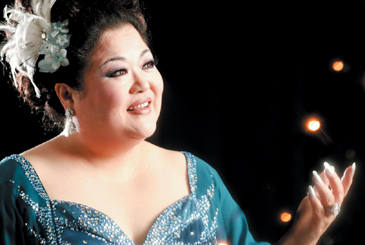 Yoon Hee-jung is arguably the most beloved jazz vocalist that Korea has ever had. Throwing all her passion for jazz into her powerful voice, this lady makes her concerts truly spectacular. At the concert, the charismatic queen will again take the guests into the world of jazz by presenting her breathtaking performance of a variety of jazz, gospel, Latin, and Korean songs. Before the concert kicks off at 8pm, guests can enjoy a fine selection of cuisine and share conversation at a special standing buffet cordially prepared and served by the hotel's banquet staff. The buffet will start at 6:30 p.m. The ticket is priced at 145,000 won including buffet. Come join the concert with your friends, family, or someone you love and wrap up your year with the true voice of jazz. Reserve your seat now.